The application cycle for Fall 2019 admission is now open. The deadline for priority consideration and consideration of funding opportunities is January 15, 2019. The final deadline is June 15, 2019. The post-master’s certificate program is available for registered nurses (RNs) with a master’s degree in nursing who wish to study an area of clinical concentration. The program consists of master’s level core courses, clinical theory courses, and associated practicum courses. Applicants must possess a minimum grade point average of 3.0 (B) from their master’s program. The clinical setting presents unique challenges and responsibilities for nursing students caring for patients in a variety of health care environments. 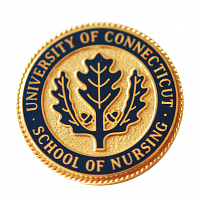 In addition to academic qualifications, UConn nursing students must possess the ability to consistently demonstrate a proficiency in five core areas for nursing students. Specifically: motor, sensory, communication, behavior and critical thinking skills. These areas reflect the reasonable expectations of a nursing student performing the common functions of a registered nurse and/or an advanced practice nurse. In adopting these standards we are mindful of the patient's right to safe and quality health care. The ability to consistently demonstrate these personal and professional competencies are essential from admittance to graduation. Students must be capable of performing the skills of a nursing student. Coordination, speed and agility to assist and safely guard (protect), with safe and proper body mechanics, patients who are ambulating, transferring, or performing other activities. Ability to adjust and position equipment and patients, which involves bending or stooping freely to floor level and reaching above the head. Ability to move throughout the classroom/clinical site, sit and stand for long periods of time to carry out patient care activities. Ability to move or position patients and equipment, which involves lifting, carrying, pulling, up to and including 30 pounds. Ability to guide, resist, and assist patients, or to provide emergency care, which involves the activities of standing, kneeling, sitting, or walking. Ability and dexterity to manipulate the devices used in giving nursing care. Ability to administer CPR without assistance. Visual ability (corrected as necessary) to recognize and interpret facial expressions and body language, identify normal and abnormal patterns of movement, to read or set parameters onvarious equipment, to discriminate color changes, and to interpret and assess the environment. Auditory ability (corrected as necessary) to recognize and respond to soft voices, auditory timers, equipment alarms, call bells, and to effectively use devices for measurement of blood pressure, breath sounds, etc. Tactile ability to palpate a pulse and to detect changes or abnormalities of surface texture, skin temperature, body contour, muscle tone, and joint movement. Sufficient position, movement and balance sensations to assist and safely guard (protect) patients who are ambulating, transferring or performing other activities. Ability to read at a competency level that allows one to safely carry out the essential functions of an assignment (examples; handwritten chart data, printed policy and procedure manuals). Ability to effectively interpret and process information. Ability to effectively communicate (verbally and in writing) with patients/ families, health care professionals, and others within the community. Ability to access information and to communicate and document effectively via computer. Ability to recognize, interpret, and respond to nonverbal behavior of self and others. Ability to work with multiple patients/families and colleagues at the same time. Ability to work with classmates, instructors, health care providers, patients, families and others under stressful conditions, including but not limited to providing care to medically oremotionally unstable individuals, situations requiring rapid adaptations, the provision of CPR, or other emergency interventions. Ability to foster and maintain cooperative and collegial relationships with classmates, instructors, other health care providers, patients and their families. Ability to collect, interpret and analyze written, verbal and observed data about patients. Ability to prioritize multiple tasks, integrate information and make decisions. Ability to apply knowledge of the principles, indications, and contraindications for nursing interventions. Ability to act safely and ethically in the college clinical lab and in clinical placements within the community. If a nursing applicant or student is unable to meet one or more of these areas, due to a disability (long or short term), s/he may request consideration for an accommodation through the Center for Students with Disabilities. Prompt notice is essential for full consideration. The statement will be on the website for prospective and current students and shared at open houses and other information sessions. The requirements for clinical practice apply for all programs which include a clinical component.